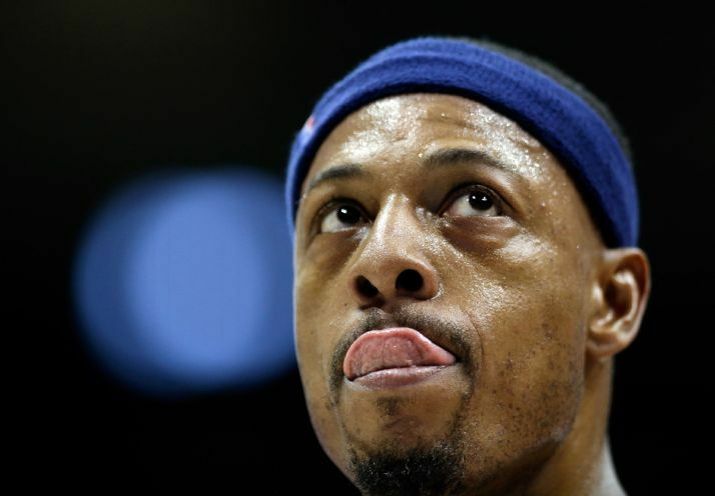 Paul Pierce drove to hole for a layup and got swatted by two Hawks players. With a bloody mouth and unable to run back in time, Jeff Teague found Al Horford in the corner for a 3 as the flood gates opened and the rout was on. It was that kind of night for the Wizards. This game was a roller coaster ride from the beginning. Some poor defense and too many turnovers on offense allowed the Hawks to take an early 13-6 lead. The Hawks were getting clean looks thanks to some nice guard play from Jeff Teague who had 11 points and 10 assists. The Wizards shot an impressive 62% in the first quarter but had way too many turnovers and found themselves down double digits at the end of the first. It was more of the same in the second quarter. The Hawks second unit came out fired up whereas the Wizards’ didn’t. A 10-2 run by the Hawks’ second unit stretched the lead further. About halfway through the quarter, Beal rolled his ankle and it looked pretty bad. Clearly it wasn’t. Brad was able to walk it off and followed up scare with a personal 7-0 run to keep the Wiz in this game. With the Hawks’ lead hovering around double digits for most of the half, the Wiz were able to close the second quarter strong and only trailed by five at halftime. Whenever the Wizards made a run and threatened to take the lead, the Hawks answered. John Wall hit a jump shot just inside the three point arc to cut the lead to two at the 5:18 mark. The Wizards would go on an arctic like cold streak after that. Deadly three point shooting and easy open shots enabled the Hawks to run away with this one. Additionally, 16 made threes by nine different players emphasized the type of shooting night this was for the Hawks. The Wizards only scored two, TWO points in the last five minutes of the game and got smoked 120-89. All you can do here is sweep this under the rug and get ready for San Antonio.